Doors open at new specialist spinal and orthopaedic hospital, with ambitious plans for future sites. The largest family-run hospital group in Germany, Schoen Clinic, has opened its doors to the company’s first purpose-built hospital outside of its home country. Schoen Clinic London, located within the Harley Street medical area, will provide patients with access to rapid assessment, expert diagnosis and world class treatment outcomes from leading orthopaedic surgeons, as well as the Group’s award-winning approach to quality outcome measurement. Schoen Clinic is a specialist provider of orthopaedic care with a 30 year heritage and currently treats around 300,000 patients every year at 23 hospitals and clinics across Germany and the UK. Its approach differs to many existing private providers in the UK, using rigorous measurement and analysis of patient outcomes to drive a process of transparent and continuous improvement. This has delivered proven results for patients across Germany, providing better outcomes and faster recovery times for those undergoing surgery. This approach has been recognised by the English health care intelligence platform Healthcare Business International, which awarded Schoen Clinic the Business Model Innovation Award in the Best Quality Data Model category, honouring the results-orientated patient care of Schoen Clinic. The Group has also introduced a different employment model to that normally seen, with surgeons employed on a full and part-time basis on a salary, alongside those who wish to practice on an independent basis. This means Schoen Clinic surgeons are engaged and dedicated members of the multi-disciplinary team, fully committed to the processes, values and culture of the organisation. This makes consolidation of expertise around complex cases and decisions around the best treatment option much easier to coordinate on behalf of the patient. Christopher Schön, Chief Operating Officer of Schoen Clinic Group, said, "The opening of Schoen Clinic London is a hugely important milestone. Our commitment is demonstrated in our first hospital in London, a brand new 39 bed state-of-the-art centre of excellence in the heart of the city. These facilities, combined with world leading healthcare professionals at the helm and our commitment to constant improvement, means patients in London will be receiving the best orthopaedic care available, anywhere. This is an exciting milestone in our investment in health services for the UK." Following successful Care Quality Commission (CQC) registration, Schoen Clinic London is now accepting outpatient and inpatient referrals – for self-pay, insured and international patients. Self-referrals and referrals from GPs, physiotherapists and other healthcare professionals are welcomed. 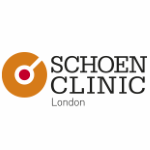 Schoen Clinic London’s appointments team can book an appointment with your consultant of choice, or help individuals find the most appropriate specialist for their needs. Appointments can also be managed by the innovative online real-time patient portal, which includes: enabling patients to make or change appointment times, access all their appointment letters and patient letters in one place, and receive automatic appointment reminders. The purpose-built hospital at 66 Wigmore Street in Marylebone, contains ten consultation rooms, two minor treatment rooms, a physiotherapy department with gym and a fully-equipped imaging suite with MRI, CT and digital x-ray. For inpatients, the seven-floor building also includes three laminar flow theatres, eight bespoke day beds and 39 ensuite inpatient bedrooms, including a VIP suite with roof terrace and private access, as well as 24/7 access to an onsite Resident Consultant Intensivist. Every effort has been made to ensure that patients will experience a healing environment at Schoen Clinic London, through the use of natural light in all rooms, wooden furnishings and decorative privacy screens, featuring scenes such as forest sunlight or blue skies. An event to mark the hospital’s launch will take place in January 2019. The clinic sits alongside the Group’s other UK location, Newbridge House in Birmingham, which was acquired in 2017 and recently retained its "outstanding" designation by the CQC. 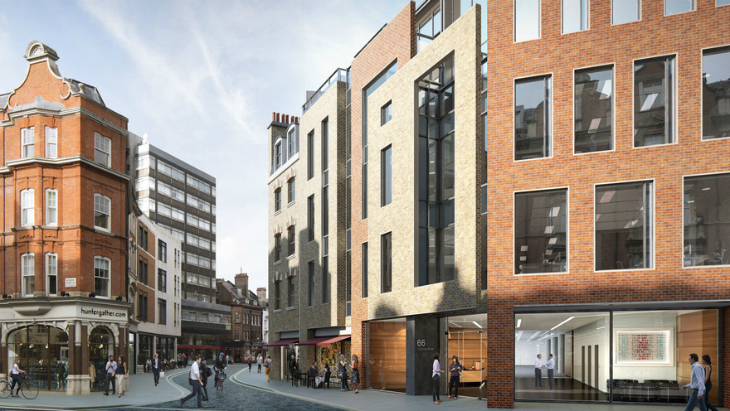 In addition, Schoen Clinic will open a third location, in London, Chelsea in 2019.